Even Joseph Goebbels would be amazed by the effectiveness of the Western media monopoly in finding guilt with Serbs, Serbian Canadian journalist John Bosnitch told Sputnik, commenting on the UK’s attempt to push forward the resolution on Srebrenica in the UN Security Council. 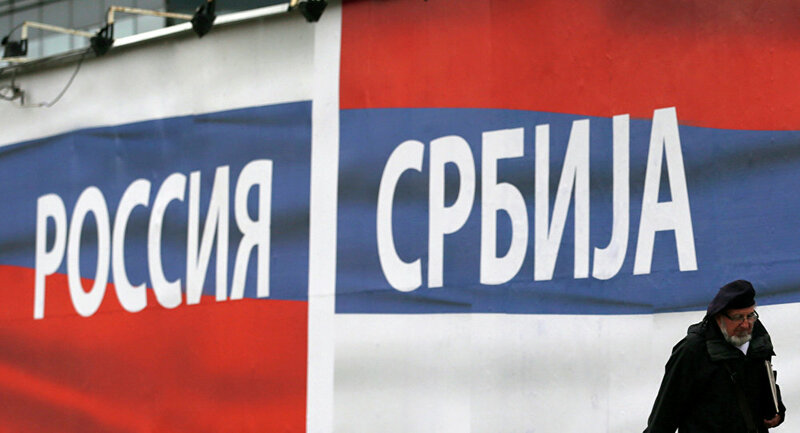 The UK's effort to pass an anti-Serb "genocide" Resolution through the UN Security Council is a continuation of London's longstanding policy of trying to restrict the influence and status of Serbia in the Balkans and in Europe, according to John Bosnitch, a Belgrade-based journalist who is a 20-year veteran of the NHK Radio Japan English world service in Tokyo, and the Director of the Jasenovac Memorial Center in Belgrade. 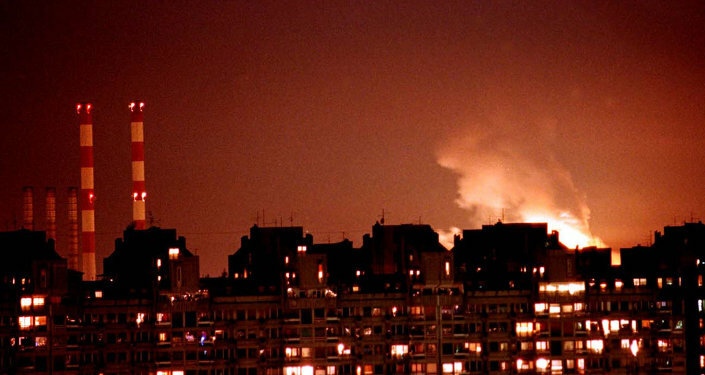 "London's aim is to label all Serbs as genocidal in order to undermine Serbs on several fronts. Firstly, Western-backed agents inside Bosnia have been trying to undermine the Dayton Accords that guarantee a roughly 50-50 split of power and territory between the Serbs on one side, and the Muslims and Croats on the other. 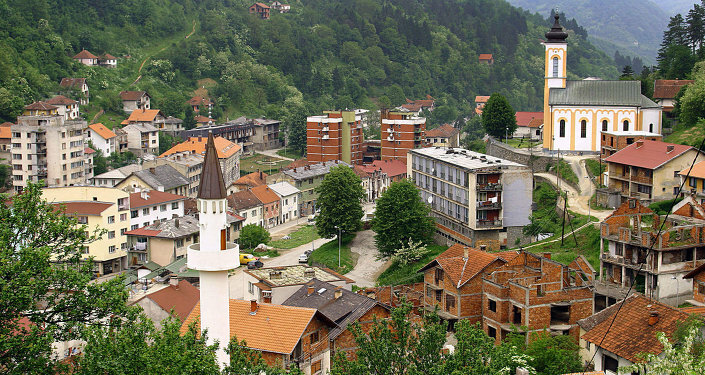 However, Western-backed hardline Muslims seek a unitary state where they can dominate the Croats into forming an anti-Serb majority that would gradually dismantle the Bosnian Serb Republic in Bosnia as a "product of genocide" that must be dissolved," the journalist told Sputnik. "Secondly, Serbia is Russia's closest friend in Europe. London sees Serb-Russian friendship as an obstacle to the London-supported ‘drang nach osten' of the German Kaisers, of Hitler, and now of NATO. Just as Hitler had to delay his invasion of the Soviet Union to crush Yugoslavia, Anglo-American NATO delayed their aggression against the CIS (Commonwealth of Independent States) to subvert Serbia. But they made a major error in staging a coup in Ukraine before fully completing their colonization of Serbia into the EU. Now many Serbs have seen the truth in Ukraine and are opposed to joining NATO or the EU," he added. The detailed research carried out by the Srebrenica Historical Project has demonstrated that the oft-stated death toll from Srebrenica of 8,000 is a massive fabrication, Bosnitch underscored, adding that that internationally respected intellectuals including US leftists Noam Chomsky and Edward Herman have publically rejected the genocide charge. "Even Joseph Goebbels would be amazed by the effectiveness of the Western media monopoly in finding guilt rather than credit with Gen. Mladic for having personally removed the women and children of Srebrenica from danger," the journalist remarked. John Bosnitch stressed that NATO officials were aware that Serb men would seek revenge for the slaughter of more than 3,000 Serb victims of attacks by Srebrenica-based Muslim extremist forces. "By ordering the Dutch UN forces ‘protecting' Srebrenica not to resist, and by refusing NATO airstrikes to stop a Serbian takeover, NATO purposefully set the stage for unlawful executions of easy-to-identify Muslim perpetrators of the crimes against Serb villagers around Srebrenica." However, if the truth comes up to surface that almost all of the several hundred executed Muslim victims were members of the "bloody 28th Division of the Muslim army" the Western narrative will fall apart at the seams. This fact has therefore been strictly banned from all Western-NATO media, he elaborated. "For the same reason, London never admits that it is fully aware that Arab jihadi murderers were airlifted into Bosnia by Washington; London never admits that many of today's ISIL members were NATO jihadi mercenaries in Bosnia; and London never admits its main strategic error: that by transplanting anti-Russian jihadis from Afghanistan into Bosnia, London itself was the greatest contributor to its own nightmare scenario of renewed strong ties between Serbs and Russians," Bosnitch stressed. "This Anglo-American error destroyed the results of London's support for Tito's dictatorship to pry Serbs and Russians apart," he added. Maggie Thatcher's "Butcher of Belgrade"
According to John Bosnitch, the demonization of Serbia was a practice-effort for the demonization of Russia. When London failed to get very-Westernized Yugoslav President Slobodan Milosevic (who had worked as a banker in New York) to agree to the vivisection of the Serbian people across several ex-Yugoslav republics, nor to accept an Albanian extremist separation of Kosovo to join a NATO-puppet Greater Albania, they turned on Milosevic, the journalist explained. "Maggie Thatcher first demonized him personally as the "Butcher of Belgrade" and London subsequently labeled all Serbs as murderers and butchers. This "demonization demonstration" against Yugoslavia was intended to frighten Russia into peacefully agreeing to the dismantling of the former Soviet Union into small pieces that NATO could grab one by one. The demonization of the Serbs was very similar to the double-atom-bombing of Japan: primarily aimed at scaring Russia," John Bosnitch told Sputnik. However, when the Anglo-American empire failed to scare Russia, they tried to financially corrupt Yeltsin and his family, the journalist pointed out, stressing that the arrival of President Vladimir Putin eventually facilitated the revival of the Russian people and the state. According to the journalist, the ultimate goal of all of this demonization, first of the Serbs and more recently of the Russians as well, has been to prepare the Western public for war — the method described as "two-minute hate" by George Orwell in his book "Nineteen Eighty-Four." "My late father, Political Science Professor Dr. Sava Bosnitch, had a younger classmate from Poland in his Master of Arts (MA) degree class at McGill University in Montreal. That classmate was Zbigniew Brzezinski, who later became US President Jimmy Carter's national security advisor, inspirer of Solidarnosc, elector of the first Polish pope, mentor to Madeleine Albright, backer of al Qaeda and most recently, author of "The Grand Chessboard" a handbook for the end-game destruction of Russia. Despite their diametrically opposed views, the two men stayed in contact as Brzezinski demonstrated a near-rabid hatred of Russia and an extremist pro-Vatican orientation," John Bosnitch narrated. "I know from my father that his younger colleague Brzezinski is prone to making serious errors in calculation, such as his betrayal of the Shah of Iran for Ayatollah Khomeini in order to turn Muslims against Russia <…> a plan that backfired so badly that it drove President Carter from office," the journalist stressed. As demonstrated by Brzezinski and his subsequent disciples Albright Rice, Clinton, Kerry and Biden, the US geostrategists are "infected" with an extreme "Russophobia virus." Remarkably, this very fact makes their behavior predictable. That allowed Russia to outperform Washington in Syria and Crimea, the journalist emphasized. Does NATO Continue What Hitler Started in 20th Century? "Since NATO and the EU are both virtual recreations of Hitler's unified imperial Europe, it is not surprising that they closely resemble that last effort at putting the continent under German management and control. The slaughter of Serbs has continued, and where the few Jewish survivors left alive in Europe have faced troops backed by NATO, they have once again been targeted as in the neo-Nazi slaughter of Jews and Russians in Odessa, Ukraine." While waging war in the Balkans, NATO used Bosnian and Albanian Islamists as its proxy forces against Serbs. Curiously enough, Nazi Germany had also been engaging Albanian and Bosnian Muslims, who served in the 21st Waffen Mountain Division of the SS Skanderbeg and the 13th Waffen Mountain Division of the SS Handschar, respectively. These divisions carried out all-out genocide of Serbian nationals in the Balkans. Unsurprisingly, Washington and NATO supported the Ukrainian coup of February 2014, conducted by the Ukrainian ultra-nationalists — "heirs" of OUN-UPA (Ukrainian Insurgent Army) and the 14th Waffen Grenadier Division of the SS. "NATO is not only copying Nazi tactics, it is inspired by, admires and perpetuates them on purpose. It can do so without opposition because the people of the West have been denied any education in history. Thus the tiny ruling clique dominates by using their control of the present to control the past, and thus to control the future… building an entire society on the Orwellian principle of ‘Ignorance is Strength'," Bosnitch concluded.